We are offering the latest in sterilization and disinfection protocols as well as the most advanced techniques in dental technology to ensure the highest possible success of your root canal treatment. To protect our patients and ourselves, we strictly maintain sterilization and cross contamination processes using standards recommended by the American Dental Association (ADA), the Occupational Safety and Health Administration (OSHA), and the Center for Disease Control (CDC). Instruments are sterilized in B-class autoclaves or disposed off after a single use. Our success depends on us being able to see the minutest of details; you cannot treat what you cannot see. 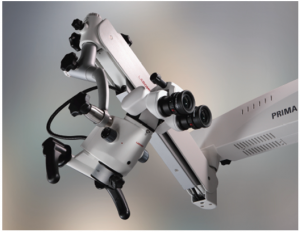 The surgical microscope helps us visualize and magnify structures up to 25 times their actual size. The ability to diagnose and guide us through the procedures is the most significant benefit gained from using the microscope. In addition, we have incorporated the latest high-definition video recording allowing us to record and document our procedures with unequalled clarity and detail. Our digital imaging system offers excellent imaging quality and resolution that is viewed instantly on a computer monitor. It also reduces radiation exposure of patients by up to 50-90% when compared to the older X-ray systems. 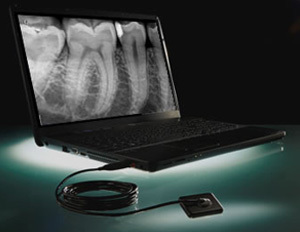 Digital radiography utilizes computer technology and software tools that further aids in diagnosis and determining treatment accuracy, minimizes procedural delays and also allows the patient to see in detail their completed root canal. Rubber dam refers to a 6 inch square rubber sheet that is utilized to isolate the tooth to be treated. This not only efficiently controls cross-contamination from the mouth, but also provides a barrier against water, chemicals or other instruments from contacting the oral tissues. This allows the patient to relax, breathe and swallow normally. 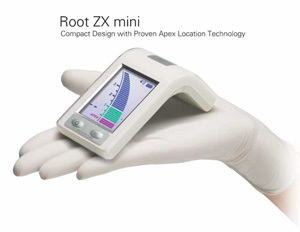 Apex locators are technologically advanced gadgets that effectively determine the length of the tooth. 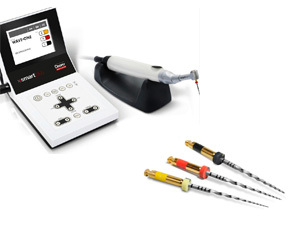 This enhances accuracy and overall success in root canal treatment. 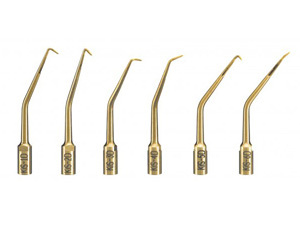 Nickel titanium rotary instruments are recent advances in instruments that are used to clean and shape the root canal system. It is made of a new strong but flexible material. The files are driven by a rotary motor, at controlled speeds that allows safe and efficient shaping of root canals. In addition, we also use a reciprocating motor, which is considered state of the art in terms of technology available for root canal instrumentation. The high quality piezoelectric ultrasonic system, with multiple ultrasonic tips adapted onto the unit, is well proven in their efficacy in improving treatment outcomes. Additionally, we also have a specialized surgical ultrasonic kit that allows for reverse cavity preparation of the root tips. 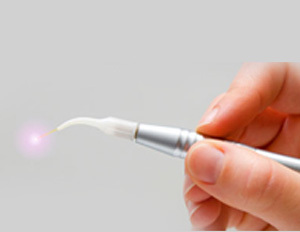 LASER’s have been modified for use in root canal treatment. We offer use of LASER to allow for enhanced disinfection of the root canals as well painless alteration of the gum position whenever indicated..